Jim Riddet has over 50 years of experience in defending criminal cases in state and federal court, and has tried nearly 100 cases to jury. For the past 35 years, the emphasis of his practice has been defending individuals charged in Federal Court. Over the years, he has represented individuals who are either charged with federal offenses or are under investigation by a federal agency such as the FBI, SEC, DEA, IRS, and the United States Secret Service. Jim deals repeatedly with members of the United States Attorney’s Office in Orange County and in Los Angeles and has also handled federal cases in San Francisco, Sacramento, Fresno, San Diego, Riverside and outside of California in New York, Chicago, Phoenix, Seattle and other major cities. In addition to practicing extensively in the Federal Courts, Jim has been an active member of many Federal Court committees having been appointed by the Chief Judge to serve on such committees as the Magistrate’s Selection Committee and the Disciplinary Committee. In addition, when the Federal Court in Los Angeles established a branch court in Santa Ana, Jim was asked by the Chief Judge to chair a new indigent panel, which involved selection and training of lawyers to be on the panel. He has also been selected by members of the federal judiciary to be an Attorney Representative to the Ninth Circuit Judicial Conference, and has served as co-chair of the attorney delegation. 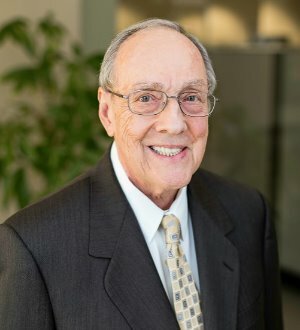 In addition to being active in Federal Court committees, Jim has served on the Board of Directors for the Federal Bar Association, Orange County Bar Association, and California Attorneys for Criminal Justice. Jim has been selected as a Fellow of the American College of Trial Lawyers, which is an organization which has the highest criteria for membership. The College’s criteria for membership states that fellowship to the College “is only extended by invitation, after careful investigation, to those experienced lawyers who have mastered the art of advocacy and whose professional careers have been marked by the highest standards of ethical conduct, professionalism, civility and collegiality.” The College operates under a rule that there can never be more than 1% of the total population of attorneys in any state or province. He also has been invited to be a member of the American Board of Criminal Lawyers, an organization of the top criminal defense lawyers in the United States. He is also a California State Bar Criminal Law certified specialist. Every year since 1987, Jim has been selected for listing in the Best Lawyers of America, which selects lawyers on the basis of peer review. In addition, every year since 2004, Jim has been selected to the Super Lawyers® list. He has also been selected by Los Angeles Magazine as a Super Lawyer and selected as one of the top 50 lawyers in Orange County. Jim has also been a guest speaker to various organizations and colleges including St. John’s Law School, where he spoke to the students with the Chief Judge of the United States Court of Appeals.